Looking at it’s definition, strength is not just an essential quality for athletes but for all. A fundamental level of strength is not only required to ensure an individual is robust enough to minimise their risk of injury but to maintain stability and control for the demands of everyday life. When it comes to endurance athletes, even those competing at an elite level frequently display a lack of strength in areas that will not only compromise their performance but also increase their injury risk. Although this isn’t always the case, we can’t recall a time our screening process (using simple, straightforward tests) doesn’t highlight areas that need addressing. There could be issues with mobility, stability or simply a distinct lack of strength such as performing more than a single repetition of a full-range press up. Why is upper body strength relevant for endurance sports? Whilst we can be unbelievably ‘fit’ with regard to cardiovascular and cardiorespiratory health, we’re only as strong as our weakest link physically. A lack of upper body strength for a cyclist and runner will not only compromise ‘function’ outside of sport but will also have detrimental effect on their posture and efficiency including sustained intervals and intensities around/above race pace. Even when upper body strength is present, such as for a swimmer or rower, limitations to mobility or an imbalance in muscle groups such as pecs (push) to trapezius/rhomboids (pull) will not only impact posture negatively but also impair function of the surrounding joints (shoulder and shoulder girdle) and musculature. Our bodies are unbelievably smart so chronic postural changes frequently take place to accommodate weakness and imbalances subjecting us to a further increase in injury risk. So what type of ‘Strength’ should you be trying to develop? This depends on the demands of your sport, we want to train as specifically as possible. This is why you need a (Strength and Conditioning) Coach who can analyse and understand these demands by way of a Needs Analysis (click to find out more). Once the demands of the sport are understood, the coach can assess the athlete to see what may need attention or development to optimise their performance. Whilst this example is a little over-simplified as there are number of other factors involved (including Max Aerobic Power and Max Anaerobic Power), it’s clear that Rider B is working at a significantly lower percentage of their maximal output. Providing all other factors are the same, they’ll outperform Rider A with consummate ease! So the Needs Analysis coupled with individual Athlete Assessment are the two fundamentals that need to be performed. With this information to hand, as coaches, we can not only help to minimise your injury risk but also work on the factors that will optimise your performance. Whilst the concern for endurance athletes is gaining muscle muscle mass, although there may be a small change to body composition (increase in lean mass = functional/good mass), once higher intensity training begins and weight training enters a maintenance phase (athlete’s competition season), your body will minimise the muscle it retains. The type of training you’re undertaking is VERY different to that used to gain mass, we train low volume - high intensity to drive neural adaptations so you become more efficient at recruiting muscle mass you already have. The type of training undertaken to build mass (hypertrophy training) involves high volume - moderate intensity performed with a slow eccentric (braking/lengthening) component, this style of training can be seen by many in every gym differing significantly to that used for endurance athletes. Hypertrophy training creates significant damage to the muscle fibres being trained. Due to the increased demands placed upon these muscles, our bodies stimulate repair along with the creation of a greater number of muscle fibres > greater mass/cross section. One other important factor note is to get the most out of this style of training also requires a significant positive ‘calories in vs calories out’ balance so you’ll not only need to create lots of muscle damage, you’ll need to eat like a horse, then some! Needs analysis and individual athlete assessment complete, you’re now in a position to undertake the training required for your sport. 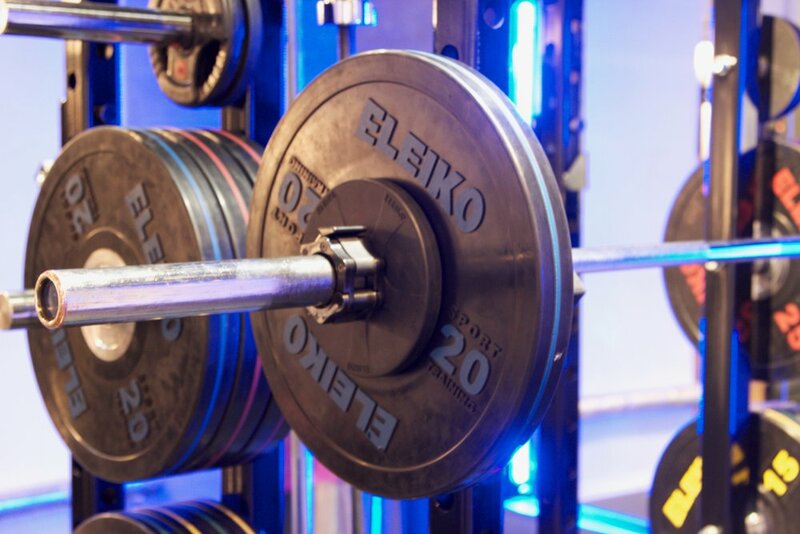 Whilst there may be some similarities between the initial training phases, starting with strength foundation into a basic strength phase, subsequent phases will start to vary quite significantly, even within the same sport. After all, you don’t need significant Max Power levels to take part in a 100 mile sportive but you do to break away or sprint during a crit race. If you’re not sure on how to go about starting your strength training, fear not, we have a few options to help out. If you simply don’t have the time to be assessed individually, check out our strength programmes designed to minimise injury risk and optimise performance for swimming, cycling, running and triathlon.